Update: SocialRecall is available now for Android, and is expected to arrive on iOS in the coming week. 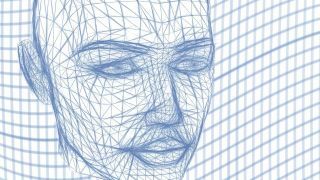 In a pre-conference interview, Dr Sandrew explained that he'd always wanted to create an app that used facial recognition to help people with face blindness. "Dr Lovell had never heard of face blindness, let alone the term prosopagnosia," he said. "He found it fascinating and proceeded to research the condition on his own. He learned that as many as 2.5% of the population suffers from a clinical form of the condition - that’s approximately 8.5 million people in the US alone." He agreed to work with Dr Sandrew to create a consumer app to help people with various degrees of face blindness, but their ambitions didn't stop there. They sought to produce can app for events such as conferences, weddings, parties or any gathering of people with common interests or for a common cause. However, creating an accessible app isn't a simple process. The development team only had experience working with enterprise clients in the military, transportation and security, and had no frame of reference for consumer software. "It was remarkable to see, as the technology was breaking down traditional social protocols and mores right in front of our eyes, bringing me back the opening lyrics of the 80s sitcom Cheers, which took place in a bar in Boston: 'You wanna be where everybody knows your name?'"